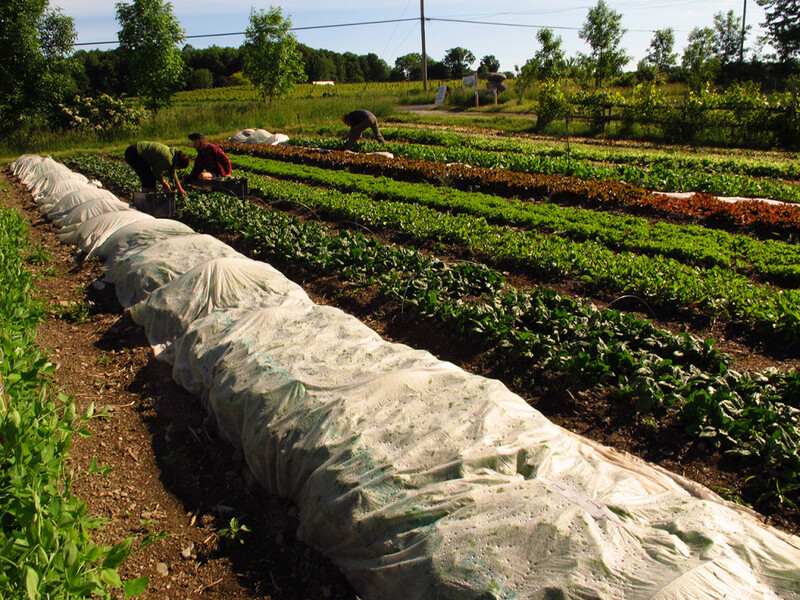 The small family farm is alive and kicking–as we pointed out earlier this week when we looked at the lessons from Jean-Martin Fortier’s manual on small-acreage farming, The Market Gardener. More and more, Millennials, myself included, are demonstrating a renewed interest in farming and gardening, but many of us don’t exactly know where to get started. I recently had the chance to chat with Jean-Martin about how he got his start in market gardening, what that process was like, and how he’s managed to achieve so much success farming on such a small plot of land. Check out our interview below to see a family farmer’s perspective on why size matters, how much work farming really is, and how to avoid a crucial mistake when starting your own market garden. Danielle: One of the currently dominant narratives is the story of the loss of family farms. We hear over and over again that large agribusinesses are crowding out smaller farming enterprises. Your farm, Les Jardins de la Grelinette, is only 1½ acres, and yet you manage to produce enough food to sell at market to support your family each year. If you had to break it down, what do you think the biggest key has been to your success? Jean-Martin: Keeping the farm small. And then, I guess, instead of looking at more mechanized farming systems to find the solution, I looked more at gardening to find the solutions that were more tailor-made to small acreage. I would hesitate to say “avoid mechanization,” but the key to what we stumbled across is that we didn’t have a tractor. Once you put a tractor in the setup, you start to spread out to take advantage of the efficiency of the tractor, which needs long rows. When you’re shooting down the row with your tractor, you want to make it worth the trip. Because we didn’t have a tractor on the farm, we just worked around it and it just seems that things have worked so well for us. 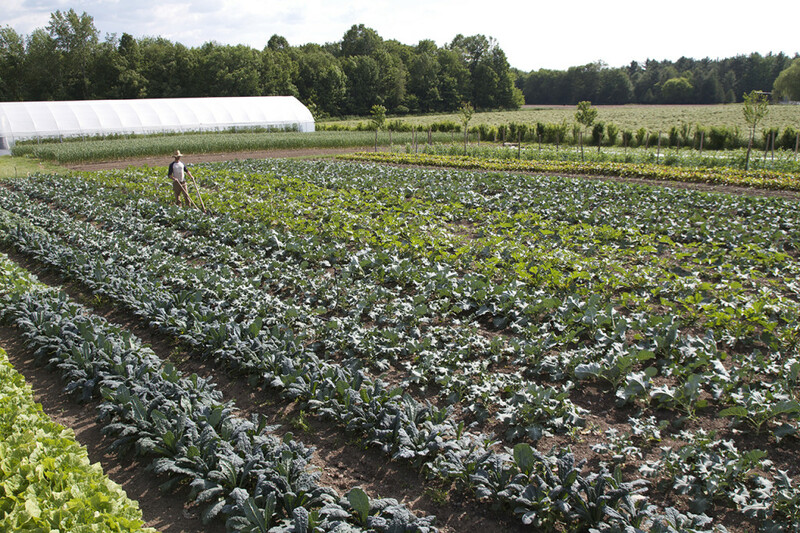 Danielle: Your farm provides produce to approximately 200 families through your CSA program and farmer’s market sales. Does that include your own family? Or do you find it easier to sell all of your produce and buy your own food elsewhere? Jean-Martin: We feast like kings in the garden, that’s for sure. And then at the farmer’s market we trade for meat, we trade for beans. We eat mostly dried beans. We don’t buy processed foods because we don’t like them. It ends up costing us not a lot of money to feed our family. Danielle: How much work does running a market garden take? Danielle: What’s a lot? Do you work sunup to sundown all spring, summer, and fall? Jean-Martin: No, no, no. We could do that, but we don’t need to. Actually, the land constraint was the big teacher, and that we didn’t have a tractor also. But when you give yourself time constraints, you also force yourself to optimize what you do. And so at one point when we had our children we realized that we needed to take time for them. An 8-5 agenda was really what they fit into. We decided that that’s what we wanted to do and then made sure that we fit everything in for work in that schedule. So we did that for many years. Now that they’re getting older, we may work longer hours in the garden because we actually really like it. Constraint is a great way of teaching on small farms. Money is not the constraint you should always be looking at. It should be time and space. 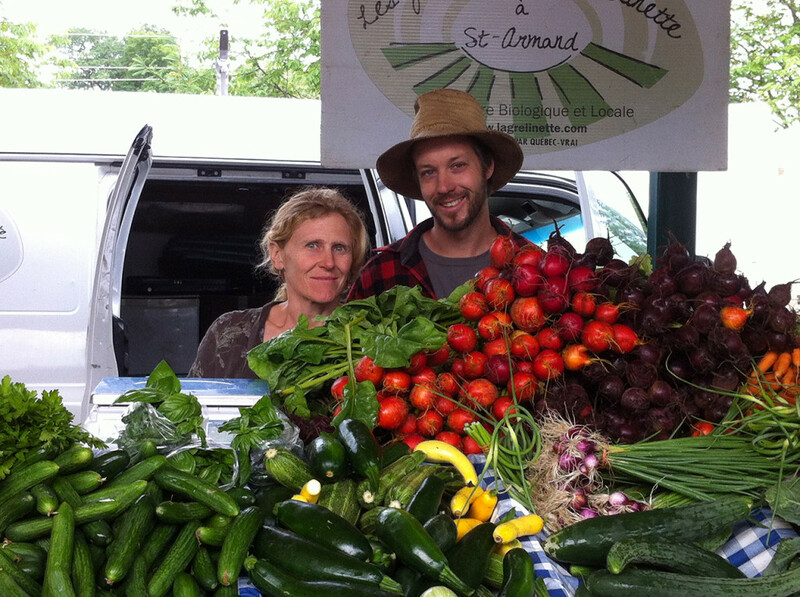 Danielle: Did you have much knowledge of farming before your started your market garden? Jean-Martin: No. We learned farming by doing it. Danielle: What were the most valuable resources for you when you were getting started? Jean-Martin: Other farmers, especially other farmers my age. We would get together and talk about what went right and what went wrong and would hear everybody’s solution and give advice on other people’s problems. Also, visiting farms. I visited so many farms looking at systems and trying to figure out the reasons why certain growers would do this or that. That’s much better than the Internet. The Internet doesn’t have that much good information, because valuable information takes a lot of time to produce and not a lot of people have taken the time to do that. Danielle: If you had the chance to go back to the beginning and do it all over again, is there anything you would have done differently? Jean-Martin: Nope. All the mistakes were part of the learning curve, so you can’t regret those because if I hadn’t made mistakes I wouldn’t have learned anything. Danielle: What is the number one piece of advice you would give to someone looking to start a small farming business to sustain one’s family? 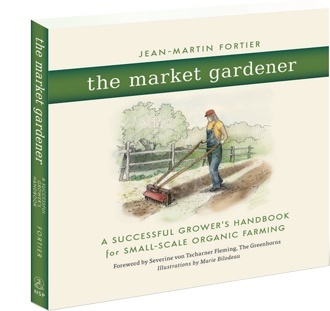 Jean-Martin: Read The Market Gardener! And read it more than once. My other advice is go work on a small farm for at least one full season to see if you’re really cut out for the job, because if you’re not there’s really no sense in thinking about it all the time. You’re either happy being bent down harvesting, or you’re not. And market gardening is about harvesting half of the time. Danielle: Last question: In your book, you said, “What this movement needs is, above all, for more of its supporters to put on their rubber boots and take up growing food.” Our goal, here at Yardfarmers, is to encourage a new generation of folks to tear up their lawns and start farming in the green spaces they already have access to, no matter how small they are. What do you think is the potential of such a movement? What would it mean for the food system if more people were growing their food at home, or were integrated into a system where community members are growing food for each other? Jean-Martin: I think we would eat better. We would learn how to interact with nature, ecology, the Earth. And then we would have healthier families, and healthier communities. I mean, is there anything better to do than grow food outside in your garden? About the author: Danielle Arostegui is a Yardfarmers fellow with Worldwatch Institute’s Transforming Cultures Project. She is an avid gardener and kitchen tinkerer. Follow her gardening adventures on her blog, Girl Gone Gardener.